Marlow in the forground with the bridge over the Thames, the flooded fields go all the way to Bourne End in the background. 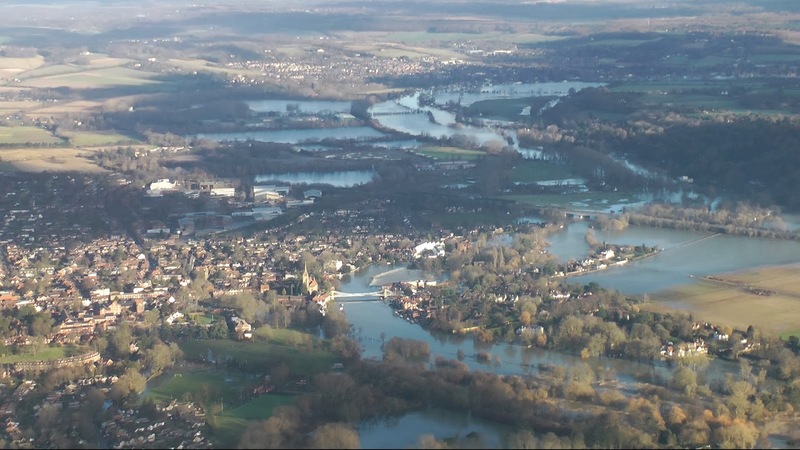 Nice picture, I live in Cookham, just past Bourne End in the picture and the water's been the highest for 20 years. You just don't appreciate how you can get cut off by nature. Nice picture of the area but sad to see the extent of the flooding !